Jane Chen always had entrepreneur's mind. Even when she was just seven years old, she started making money with her lemonade stand. Jane is now the CEO of Embrace Innovations. Her invention of low-cost infant warmers has saved the lives of 300,000 premature babies worldwide. Jane's parents have always wanted her to be a doctor. But instead, she chose to save lives in an alternative way. 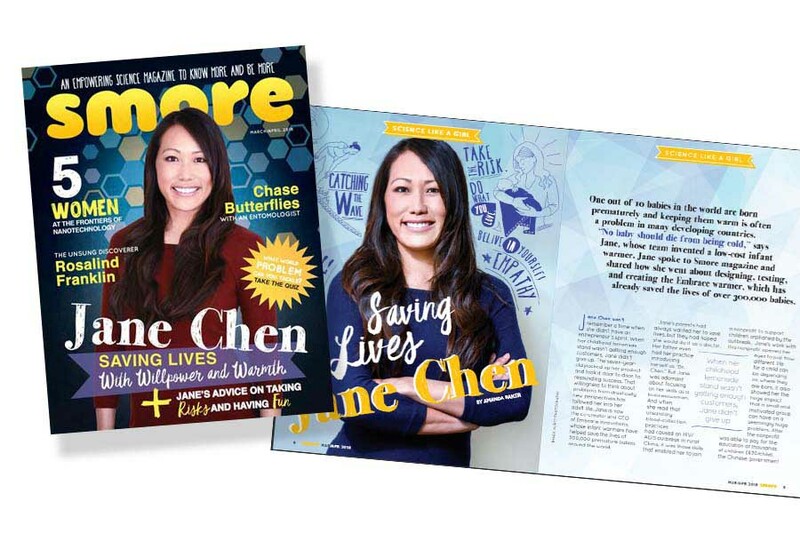 When Jane heard about the Hiv/Aids outbreak in rural China, she joined a non-profit organization to support children orphaned by the outbreak. After pursuing a Master degree at Harvard and Stanford, Jane learned that one out of 10 babies in the world are born prematurely and keeping them warm is often a problem in many developing countries. Jane thought "No baby should die from being cold", and she came up with the idea of the infant warmers. With the low-cost lifesaver, many babies were saved in the developing countries. Jane is not only a visioner, she is a heroine.